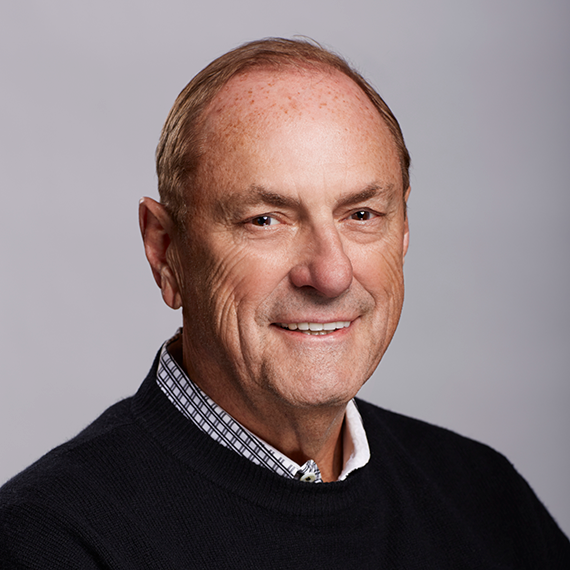 Jim Treliving is the Chairman and Owner of one of Canada’s most beloved restaurant chains, Boston Pizza International. He is also well-known for his role as the encouraging, savvy, entrepreneurial spirit on CBC’s Dragons' Den, Jim has a history rooted in integrity—one which has led him well in the world of business. One of Canada’s most successful entrepreneurs, Jim has been at the helm of the Boston Pizza name for nearly 50 years which has received prestigious recognition, including Canada’s 50 Best Managed Companies Platinum Club, Canada’s 10 Most Admired Corporate Cultures, the Henry Singer Award from the Canadian Institute of Retailing and Services and, most recently, the Canadian Franchise Association’s Lifetime Achievement Award. Jim was originally a multi-unit franchisee of Boston Pizza and through hard work and determination has expanded Boston Pizza to over 400 franchised locations throughout North America. Jim additionally has operations in the hospitality, food and beverage, manufacturing, real estate and service sectors, with annual system wide sales exceeding $1.4 billion. Jim and his wife Sandi are dedicated philanthropists supporting a wide variety of causes including mental health, the arts and entertainment and youth mentorship. In 1990 Jim founded the Boston Pizza Foundation Future Prospects which has raised in excess of $27M to support stronger and healthier communities across Canada and around the world.